Since it was announced that from June 2019 the Smart tachograph 3.0 will be mandatory in EU for all new passenger carriers and trucks, it became absolutely clear – these devices are not going anywhere and are doing better than ever. It’s a good thing that more and more GPS trackers now support tachographs among other devices and sensors. Today we’ll see how this dynamic duo of a tachograph + GPS tracker provides the safety that governing bodies require and the comfort that drivers and operators deserve. Tachographs are compact devices mounted in the driver’s cabin. They are mandatory in Eastern and Western Europe for passenger carriers and HGV to calculate driving and rest hours. This way they prevent drowsy driving and reduce vehicle crashes. From the start of the new century digital tachographs have been standing their ground, making the analogue ancestors absolutely outdated and hardly ever used anymore. However, even a digital tachograph by itself will be an extra burden on drivers and operators. A driver card is used for driver identification on the digital device. Together with the tachograph they will record all driving hours, speed, stops, etc. Both the card and the tachograph have to be backed in ddd format and might be checked by inspectors at any moment. It requires someone from the back office to make the rounds with a laptop for downloading data on a regular basis not to lose it. Otherwise it will lead to penalties. And more often than not, it means that the drivers should go to the office after exhaustive 9 hours behind the wheel and deal with the administrative duties. Though this problem is not new at all, telematics hardware manufacturers keep on coming up with new solutions to lessen the burden. For instance, GPS trackers by Teltonika and BCE allow to access the device memory remotely and automatically. Powered with a user-friendly telematics platform this combo enables fleet operators to download the records from both a driver card and a tachograph every X days (to be defined by the users themselves). The files will be sent directly to the inbox. 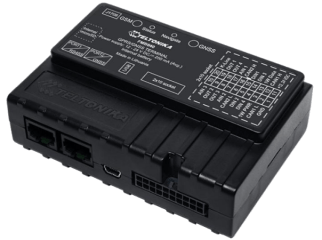 Thus the drivers focus on driving and the operators focus on important operations, rather than run around with a laptop for data transfer. While tachograph is an international requirement that can’t be ignored, you can make the life of fleet owners easier with advanced telematics tools. 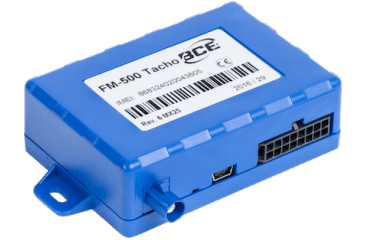 It’s good news that the above mentioned Teltonika FMB640 and BCE FM Tacho support not only tachographs but other devices and sensors too. If the fleet is equipped with nothing but tachographs, it won’t be able to meet competition. So furnish it with a few vital features and offer a complete all-in-one solution. Instant monitoring. GPS tracking and telematics platform provides visibility into trip details with zero delay or effort: on-screen live tracking as well as instant reports, graphs and charts. The metrics will be immediately available for office use and are up for grabs in popular excel and pdf formats. Set alerts to be notified on any violations via SMS, e-mail or push-messages. Optimised Routing and Scheduling. Navixy allows to assign tasks by proximity and plan routes employing the most cutting-edge tools. All the clients will have to do is to add a list of locations and task descriptions. The system will create the fastest route itself considering traffic and other restrictions and will find the nearest driver. Less driving hours, but more completed tasks. Fuel monitoring. Another feature that many fleet owners resort to is fuel monitoring. This way fleet operators can prevent any fuel frauds and cut their fuel expenses. By the way, we just added a comprehensive Fuel Sensor Tutorial that covers basically every aspect about fuel level data, so give it a read to select a fuel sensor that fits most. Driver Identification. The main idea behind tachographs is the uncompromised discipline monitoring coupled with the importance of a human factor for long-haul transportation. Apply this technique for the benefit of your clients. With Driver identification fleet owners will always be aware who exactly is the face behind the wheel. The mentioned GPS trackers are already integrated on the platform and all the features are actively used by many fleet owners. Customize your toolbox for each client and offer a comprehensive solution addressing all the fleet needs at once. If you are ready to go the extra mile for your clients, email at [email protected] or reach us in social media.